OTTAWA – Violet V. Tonielli, age 70, of Ottawa, passed away Sunday, January 13th at her residence. Violet was born December 5, 1948 in Charleroi, Pennsylvania, a daughter of Edward and Ada (McGinnis) Abbott. She was raised by her mother and step-father, Ada and Glen While. Violet married Joseph Tonielli June 10, 1967 in Harding, Illinois. 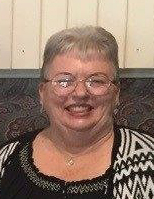 She is survived by her husband, Joseph; daughters, Kelly (Bruce) Davis of Troy Grove and Kathy (Dale) Russell of Ottawa; grandchildren, Shelby (Andrew) Pena of Ottawa, Ryne Davis of LaSalle and Ronald Russell of Ottawa; great-grandbaby, Jude Pena. She also leaves sisters, Dodie (Scrib) Lohr of Smithfield, PA and Selma (George) Horton of Portsmouth, VA; and numerous nieces and nephews. She was preceded in death by three brothers, Eddie, Carl and Johnny Abbott. Violet attended Praise Center Assembly of God. An avid reader, she also enjoyed solving word search puzzles, gardening and flowers. She enjoyed looking at lighthouses and collecting miniature lighthouses. Most important to Violet was her family. She cherished time spent with her husband, children and grandchildren. Visitation will be from 4:00 to 7:00 p.m. Friday, January 18th at Gladfelter-Roetker Funeral Home. Cremation rites will be accorded following visitation. Honorary pallbearers will be Andrew Pena, Bruce Davis, Dale Russell, Ernie Manz, Ronald Russell and Ryne Davis.